Can Kratos Defense & Security Solutions Beat These Numbers? The average estimate for revenue is $260.5 million. On the bottom line, the average EPS estimate is $0.12. 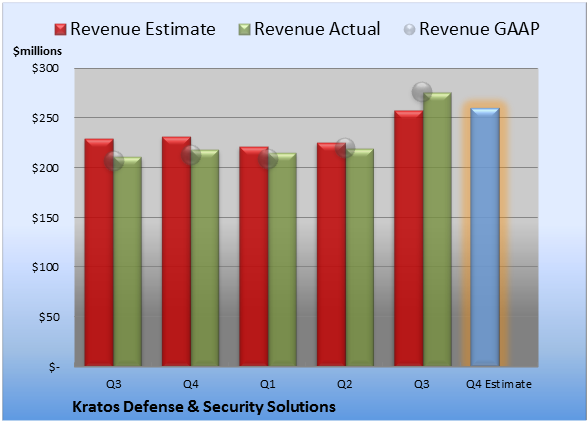 Last quarter, Kratos Defense & Security Solutions chalked up revenue of $276.3 million. GAAP reported sales were 34% higher than the prior-year quarter's $206.6 million. Last quarter, non-GAAP EPS came in at $0.18. 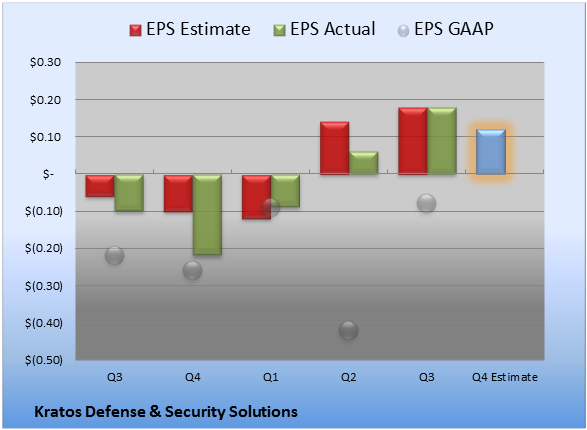 GAAP EPS were -$0.08 for Q3 compared to -$0.22 per share for the prior-year quarter. For the preceding quarter, gross margin was 26.8%, 180 basis points worse than the prior-year quarter. Operating margin was 5.2%, 130 basis points worse than the prior-year quarter. Net margin was -1.5%, 180 basis points better than the prior-year quarter.  The full year's average estimate for revenue is $970.2 million. The average EPS estimate is $0.45. The stock has a four-star rating (out of five) at Motley Fool CAPS, with 143 members out of 153 rating the stock outperform, and 10 members rating it underperform. Among 36 CAPS All-Star picks (recommendations by the highest-ranked CAPS members), 34 give Kratos Defense & Security Solutions a green thumbs-up, and two give it a red thumbs-down. Of Wall Street recommendations tracked by S&P Capital IQ, the average opinion on Kratos Defense & Security Solutions is outperform, with an average price target of $9.38.  Looking for alternatives to Kratos Defense & Security Solutions? It takes more than great companies to build a fortune for the future. Learn the basic financial habits of millionaires next door and get focused stock ideas in our free report, "3 Stocks That Will Help You Retire Rich." Click here for instant access to this free report. Add Kratos Defense & Security Solutions to My Watchlist. The article Can Kratos Defense & Security Solutions Beat These Numbers? originally appeared on Fool.com.